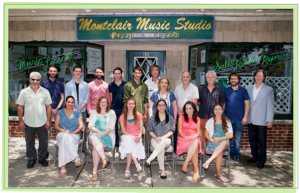 The Entire Faculty & Staff of The Montclair Music Studio wishes you a Great Fall Term. The staff and faculty of MMS wish to take this opportunity to thank you, our loyal patrons and friends, for supporting us over the years. We sincerely hope you have been pleased with our services in the past as we look forward to continuing to provide the highest quality musical instruction in the warmest most congenial atmosphere possible. It has been an honor and a pleasure serving the Montclair Community during this time and we hope to be able to do so well into the future.